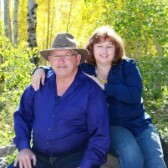 Summers Rocky Mountains Motors first opened in 1996 by owners Hagle and his wife Linda Summers. A tiny little gravel lot in Montrose Colorado is where it all began. Hagle Summers loved the auto industry and had big dreams of having his own family owned dealership. Hagle and Linda's son Steven, at a very young age learned all the ropes when it came to every important aspect of the auto industry. They have always been about WHATEVER IT TAKES to not only make the customer HAPPY & SATISFIED but to have them coming back time and time again. Soon they realized that the dream of their family owned dealership was coming true! That little tiny gravel lot was just too small and the name Summers was big on the Western Slope. It was time to expand and find a location that was perfect for the new Summers Rocky Mountain Motors. The Home of Summers was found in Delta Colorado only twenty miles north of Montrose. Doors opened at the Delta location spring of 2001. Summers Rocky Mountain Motors has YEARS of four county reputation for fast, friendly, and reliable service & help. Now in business for 20 plus years, Summers continues to stomp the competition with number one customer satisfaction. Also putting the most reliable preloved automobiles on the road. Stop in today and see why thousands choose Summers Rocky Mountain Motors. "Buying a vehicle at Summers was a great experience. Steve Summers was fair and honest. The company was very accommodating and comfortable. 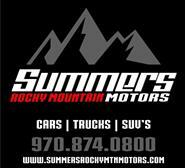 I would highly recommend stopping by Summers Rocky Mountain Motors." -Satisfied Summers Rocky Mountain Motors Customer. 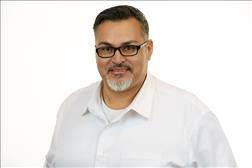 "We were on a tight budget and Tony Amaya got us a great deal. He fought for us which was great. He listened to what we needed and knew what they had and pointed out the right car right away. Paper work was so easy with him. I highly recommend Summers Rocky Mountain Motors. Thanks Guys for everything." - Satisfied Summers Rocky Mountain Motors Customer. "Joni got us an awesome deal in rates and she is a good all American girl. Thank you Summers." "What a wonderful experience today purchasing a car for my daughter,. Casey was wonderful, the staff was all great and the laid back, non pushy atmosphere. I will be going back as needs arise in the future. Thank you again Steve and Cassandra Summers! Keep up the good work!" - Satisfied Summers Rocky Motors Customer. 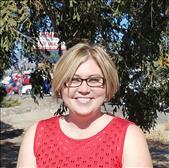 Michelle is the heart of the Summers Main Office.Michelle has been apart of the Summers Team for 4 years. "When you need a truck on the run, go see Bill Penman he gets it done! Thanx to the whole crew that expedited the purchase and had me back to work by lunch!! Best in the valley"! "I was in a tough position with my then current vehicle, so I went car shopping the weekend before Christmas. I stopped at Summers Rocky Mountain Motors and met Chris my sales rep. What an amazing experience! I usually dread going to dealerships, but Chris and the whole crew at Summers made me feel comfortable right from the start and it was a real pleasure to deal with them. I am a single woman, and I needed a reliable vehicle and I felt like Chris was completely honest and sincere in his desire to help me find the right fit. I ended up with a much nicer vehicle than I expected, and I'm a very happy customer. When it's time for me to purchase again, I will start with Summers! " "What can I not say about our experience at Summers. Greg Hiler was awesome. He wasn't one of them pushy sales people, and didn't pressure us to buy. He was more than willing to help, all I did was told him what I liked, what I wanted, and how much we could put down. He showed me the vehicles that fit what I was looking for and we were able to get one I really liked. We will be recommending Summers Rocky Mountain Motors, but especially Greg Hiler, to everyone we know." 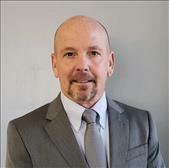 Summers Welcomes Mark to our Sales Team! 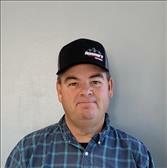 Chippy has been a part of the Summers team for 18 years as head mechanic. Summers Welcomes Richard Lucas.Richard has been in the automotive detailing industry for over 10 plus years!He learned the skill of professional detailing from large dealerships in the Denver area. 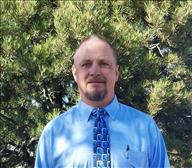 Richard relocated to the Western Slope and we are excited to have him join our team!